The club house is a beautifully designed building perfectly suited to our bowling and social activities. 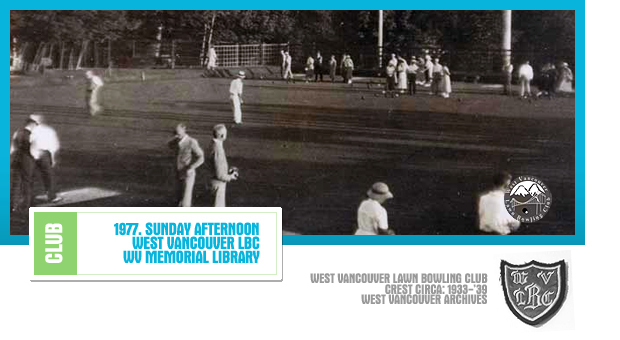 Organized lawn bowling games were established in West Vancouver long before World War I on tennis greens located near the Navvy Jack Thomas house. Early enthusiast Charles Nelson (West Vancouver’s first Reeve) built a private green on his residential property as Sunday play was forbidden on the District’s property. In June 1931, the Men’s Club built a green in the area south of the original West Vancouver United Church. They added a clubhouse in 1934. This was later expanded in the 1980s, and the green was repaired and restored. Over the years, club membership and tournament participation has risen dramatically. Today the WVLBC membership has risen to over 200 members and hosts many local tournaments, including being the home of the Ladies BC week. 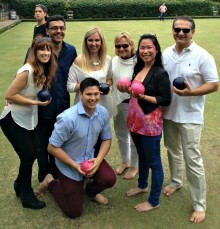 The club supports many charities including an annual tournament that raises funds for the Lions Gate Hospital. WVLBC consists of 2 outdoor natural grass greens. We have enough space for seven rinks of indoor or ‘Short Mat’ bowling inside the club for the winter months. Three rinks upstairs and four downstairs. The main floor has a kitchen, men’s and ladies’ wash rooms, locker room and a small office.